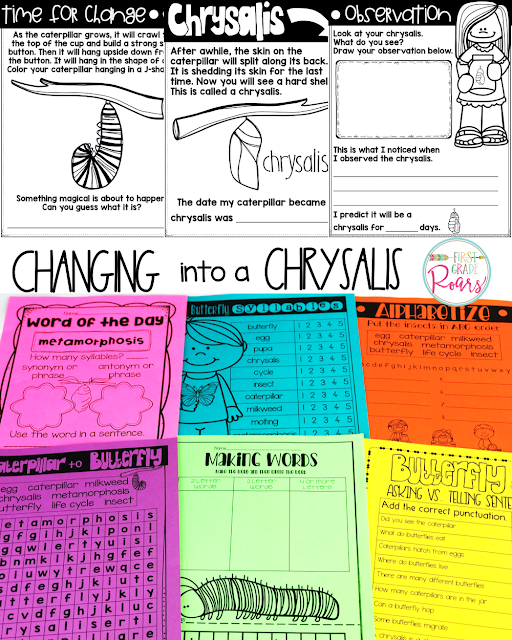 Butterfly Lifecycle - First Grade Roars! 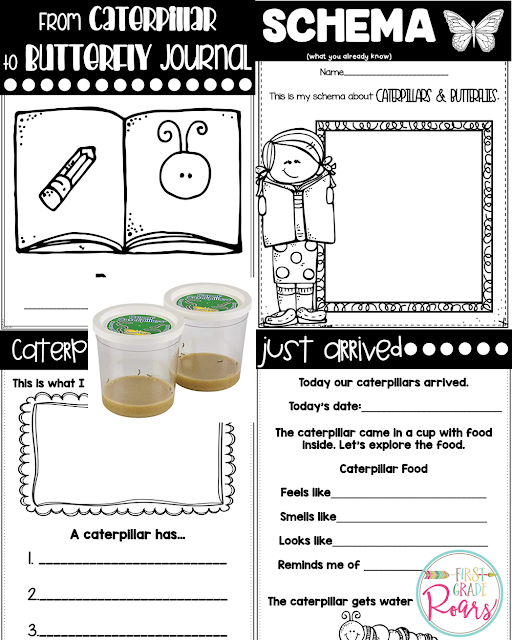 Every year in first grade, we purchase caterpillars in the Spring. 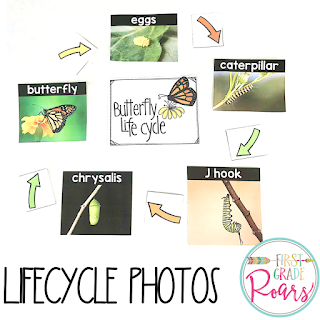 The best way to learn about the butterfly lifecycle is to actually see it with your own eyes. When the caterpillars arrive the excitement begins and so does the metamorphosis. 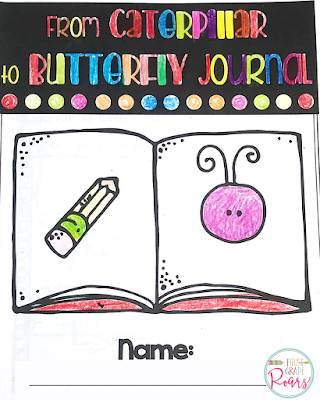 As we observe this butterfly lifecycle, we work in the student journals I have created. They are much like a book, providing information through the whole process. 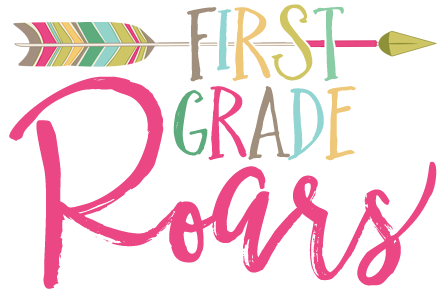 In addition, there are activities for them to complete and build their knowledge. First, we focus on our cute little caterpillars that come in these little plastic cups. We record the date they arrive, gather our schema, and observe what they look like. Then, we learn how to take care of our new insects. We observe their food, how they shed their skin, and begin to watch them spin silk. We also make these cute little caterpillars. 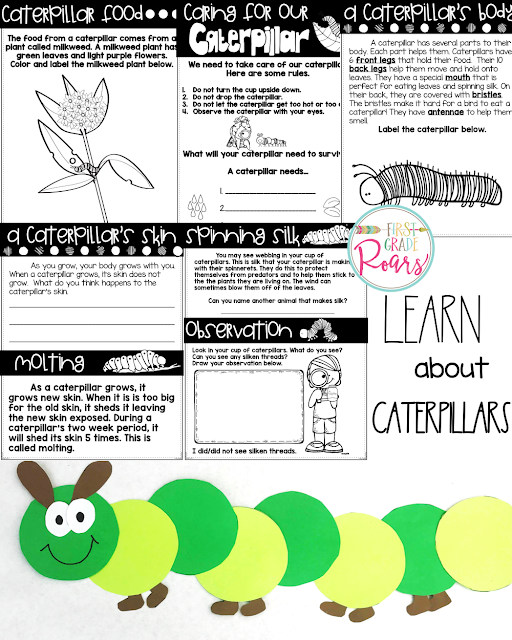 Once our caterpillars have changed into a chrysalis, we begin to learn and observe this stage. Since there isn't a ton going on during this time, we do some fun word work activities and writing during the wait. We work on increasing their vocabulary. Eventually, our beautiful butterflies emerge. 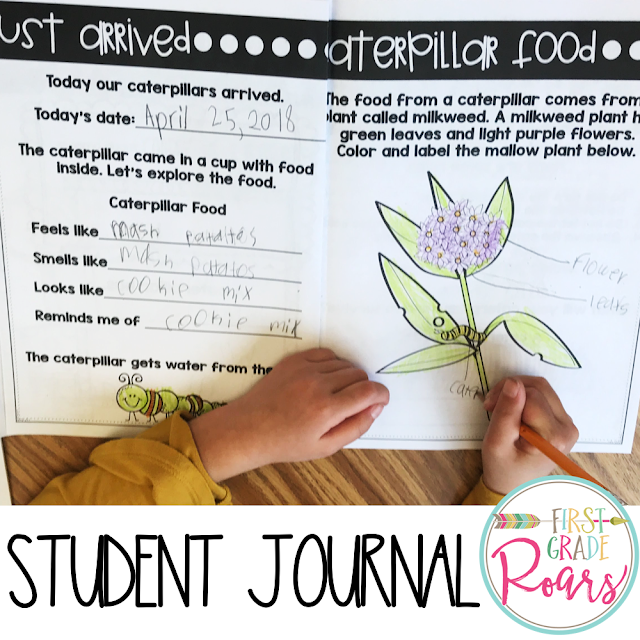 We get back into our journals and do more observing and learning. We look closely at a butterfly's body and learn how to care for them. We don't keep them very long before it is time to return them to their natural environment. Once we release them, we make these fun little butterflies. 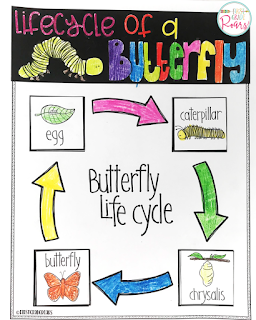 We complete the lifecycle of a butterfly and send them on their way. This unit lasts for several days but we only spend a few minutes on it each day. It is definitely the highlight of our Spring. They love seeing the changes of the butterfly lifecycle. 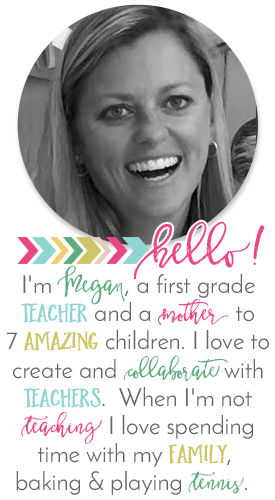 You can't ask for a more hands-on learning experience. 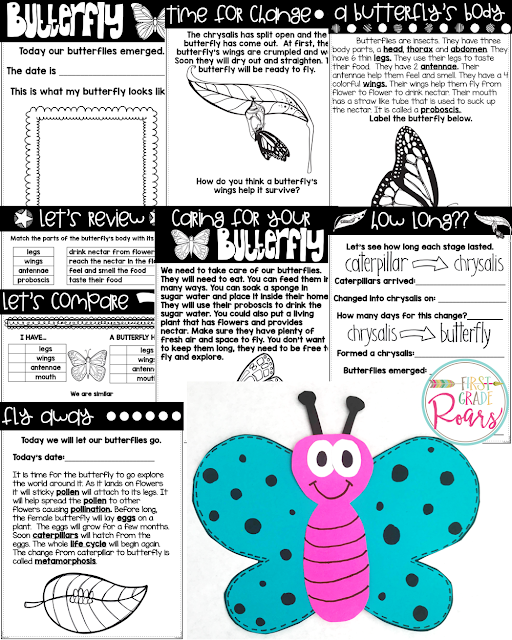 To find all of these butterfly lifecycle goodies, click here!